A perfect example of you get what you pay for. Much more expensive than many other holders, but super strong and sturdy. This is for my wife's Fiat 500. Other holders would wobble off her windscreen. This one has amazing suction. We did not need the 3M supplied dash cup. Only negative, we were holding a Galaxy S8 and being a more basic car I needed to have access to the audio port. Guess what, its covered up by the holder bottom lug. Simple mod to carefully drill a 7mm hole to allow the Jack to be slotted up and through. Lost a star for this. From all other considerations though, this is well worth the money. The windscreen mount works well, good reach on the stem. Pleased all round with the product. Really pleased with this perchase, very stable and held my phone perfectly. Would certainly recommend. A phone holder that actually works. After trying other phone holders that didn’t work, phone falls out or holder won’t release phone, phone buttons compressed. It was a joy to have one that works. Fitted this to the windscreen and it’s still firmly in place. One button press to release or hold phone. Bottom support to stop phone slipping and the arms don’t block or compress the side buttons. The holder also takes the phone in its case, so you don’t have to remove the case to use the holder. I’d recommend this holder. I’m using a Samsung S7 phone in a combat case so it’s larger than just the phone and it works fine. Samsung product for Samsung products. It doesn`t get any better than this. I purchased this item 1 month ago,and I am very happy with my choice. It's amazing how strong and ease to use it.definetly would recommend. Fast delivery and serios company. Thank you. Whilst a little bulky, this means that this is a solid mount that does not rattle in motion nor give when using the phone. Good solid stable easy to operate. Solid mount but support lugs at the base cover up the headphone socket on the Samsung 8 so needs modifying to get a five star rating. Still a good buy with a bit of modification, not yet done on mine yet though. I should have bought this product years ago - safe and convenient storage for mobile phone in the car. Thought it would be good! I have had suction holders before and the never stayed on. Thought that this one might be good as it is a Samsung. Guess What? It doesn't stay on either. Not impressed. I will have to drill through it and screw it on. Easily holds phone with a cover and with my own USB charging cable inserted into the phone. Attaching and releasing of phone very quick. Attaching and releasing of holder is also very quick. Completely satisfied with purchase and use this with GO Sat nav app and a podcast or audible app as I drive. Secure product that is easily fitter to the windscreen of our car. Fits both phpnes easily and is able to be quickly adjusted if need be. Quality product. The device looks realy fancy and tough. It sits perfectly and firmly on my front glass in the car. Works well - the clamp avoids all the buttons on my A9. This is a proper phone holder. Never mind your cheap ebay ones that wobble every time you hit a bump in the road, this is solidly made and worth every penny. But don't take my word for it, go out and buy yourself one! Works very well stuck to my window but did not stick to my dash board very well. Even the plate you get to stick on your dash board did not stay and had to glue it. Perfect item -easily fits my Galaxy Note in perfectly . Very good quality mobile phone holder. Very sturdy holder with good range of movement allowing you to to the perfect angles to view. Fair price for good quality product. Quick and efficient delivery. This is reliable.It stays stuck down and never falls off.Its easy to take your mobile in and out as well. (Its just a click of a button to take it out).When putting mobile in it adjusts to the size of the phone so it fits any phone. Best phone holder ever. Its so good my Dad and sister brought one as well. Very good and sturdy product. It's very good, sturdy, and does not slide around and eventualy drop the phone like other products have. It holds it in place. The only thing I would have liked to know is that t does'nt hold the phone horizontaly which is etter when using gps maps. But not a big deal. Excellent product. .Does what it says on the tin. Solid. Easy to set up and use. Reliable. Very pleased with this item it does what it says on the tin and I am delighted with it. I am delighted with this product. It fits perfectly on my car window and holds the phone firmly. It is just what I wanted! It feels solidly and well made and I look upon it as a quality item. 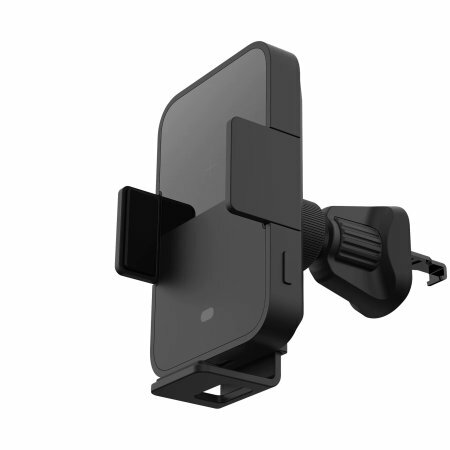 this is a very useful extra for my car ,I rely on google maps for direction and this is ideal for my phone...great buy. Really nice robust looking holder, works very well. This the best phone cradle I have ever owned and let me assure you I have had plenty of them. This was delivered in a timely manner and the product does exactly what I wanted, simple to use and the product has a real quality feel about it... Highly recommend this product! Excellent product, works a treat..
Found this docking station on line after buying a number over the years that after just a short time ends up falling apart. When I received the Samsung dock I was delighted to find it was very well made and gives me confidence that it won't be falling apart anytime soon. In addition, the design is great! I needed a safety gadget for my Sons mobile when commuting. This item certainly fits the bill. He is very pleased with it. Great but rattles slightly when no phone in it. I use my windscreen sponge ! I have had a few different screen/dash mounted phone holders, but this is by far the most secure & easy to use device. It was so good I bought two. One for the car the other in the van. Fits the screen or the top of the dashboard. Highly recommended. Really useful addition to the car! Even takes a mobile with a bulky cover. My IPhone 8 fits into it perfectly and can still use charger whilst driving to save the battery. Sticks well to windscreen or dashboard sticky mount. Purchased the phone holder for my galaxy samsung 6. It came in three parts, very easy to assemble. I have it fixed to the window screen to the right of the steering wheel. It holds my mobile with its cover. It seams robust therefore I recommend it. There is also the option to secure it to the dash board. My friend recommends me to this product. It is very sturdy once mounted onto the windscreen, holds my iPhone very well. Definitely a good buy! Being an official Samsung product I was confident that it would be well made and a perfect fit. It is. Very pleased with it. Fits strongly on my dashboard or windscreen. If you are looking for one, this is just a brilliant item. You won't go wrong trust me! Really good - fixes to the windscreen or dashboard well, and easy to get phone in and out. My son is very pleased with it! Fits car well and holds phone firmly so bought another one for other son, why they cannot but theur own but thats another story - product seems very good. The holder does not use springs to secure the phone. An advantage in my opinion as this will not have an effect on a soft case fitted to the phone. Can not comment on the dash/window attaching capabilities as it is for my wife's car in Thailand. Bought one of theses Samsung Docking mount for myself , I liked this item so much I purchased a second one for my wife's car easy to put together easy to apply to car screen plus it comes with a dishboard mount if you wish to attach it to the dashboard does what it says on the box . Best mobile mount I have ever tried. Strong, sturdy, easy to use, flexible use and positioning. So good I had to buy another for hubby's car. Easy to assemble, easy to attach to your car. I found the Samsung universal windscreen mount for my phone just the right thing . And the service i got when I ordered it was second to none. Arrived on time. Ì wanted to have the choice of placing on dashboard or windscreen. Luckily for me it does both, therefore not restricting my vision. It's not made proper to use cables. Holders not in the right place . Simple design that works. Easy to fix to windscreen or dashboard, with good adhesion. Solid strong construction and grips phone firmly with adjustment for different size mobiles. Full marks Samsung. Hade same model for 6 years and have to replace because wife took my one. Holds my Samsung Galaxy S7 Edge (in a Hi Spek case) easily. Fits nicely on the windscreen of my Kia Ceed Sportswagon 2013, and has not fallen off after 4 weeks. Easy to mount phone and remove. This is the second one I have purchased for our other car. Product is great. Very happy with my purchase. Some review on your website, suggested this could be mounted on dash - using adhesive pad. On my Mondeo, this was not possible, because of curvature profile of dash. This is a Samsung product but it fits my iPhone 7plus perfectly. The Mobile Fun service was excellent as usual when I asked via their 'CHAT' service if they were compatible. This' locked sucker system' always seems to work the best in my experience. Once on the windscreen (which takes only a second or two). it's so easy to press in the side holders which lock the phone in place beautifully - A quick press of the button releases your phone immediately. Being a genuine Samsung phone holder, this feels solid and well made. It attaches firmly to the window of my car, and holds the phone tight. I am glad I went for the genuine article, and not a brittle less sturdy cheaper option. As usual a well built product from Samsung at a reasonable price. Does exactly what it says on the tin. Perfect. This official Samsung Universal dock is great. I have it on my windscreen and it is so sturdy. It looks great and my S8 even with a protective case fits into the adjustable dock perfectly. Takes seconds to put together and fit. The quality I would expect from Samsung. Probably the best windscreen holder! My second one of these, my first one lasted 5 years of daily use but gradually the spring for the clamping mechanism wore out. The build quality is superb and keeps my Galaxy Note 3, in a chunky UAG case, rock solid with no vibration at all, even when driving over our terrible road surfaces around Hampshire. Highly recommended! Does the job and was worth the price... Easy mount where you want and holds our S7edge with Otterbox Symmetry perfect...!! Don't waste your money or time buying alternatives. The Samsung dock does exactly what it should do and is so easy to use. we had trouble with windscreen mounts in the past but this one is great. Solid on the windscreen, no wobbling and falling off. Good strong piece of kit. Very versatile item, easy to fit & ease of use. Quick to position & release, best on market. i would recomend this product as its good quality and the lip at the bottom stops the phone dropping out.i use it with a samsung s7 edge. delivery was quick and i would order from this company again. A great bit of kit. Helped me out no end. I have this mounted on the dashboard of my '06 Mondeo, as I don't like mounts stuck to the windscreen. There is a very sticky patch for the dashboard which has a flat plate for the sucker of he mount to attach to. It's spot-on for my Samsung S7, you can lock it at any angle you want and the spring-loaded side arms hold your phone very firmly - there is a button on the back that you press to release the arms. All side buttons and the charging port on the bottom are clear and accessible. My car has quite firm suspension so some vibrations get through, but you've nothing to worry about, your phone will not fall out. Don't muck about with cheaper units, this is purpose made for your Samsung phone, and it works superbly. The holder is sturdy in construction and practical. Bought a mobile phone holder in Halfords and the phone kept on slipping through. This is so much better and works really well.